Choose Intercom using All dropdown list > Customer Success. You’ll see the Integration settings dialog window. Enter your Freshdesk domain and API key (here you can find the instruction on how to find your API key). 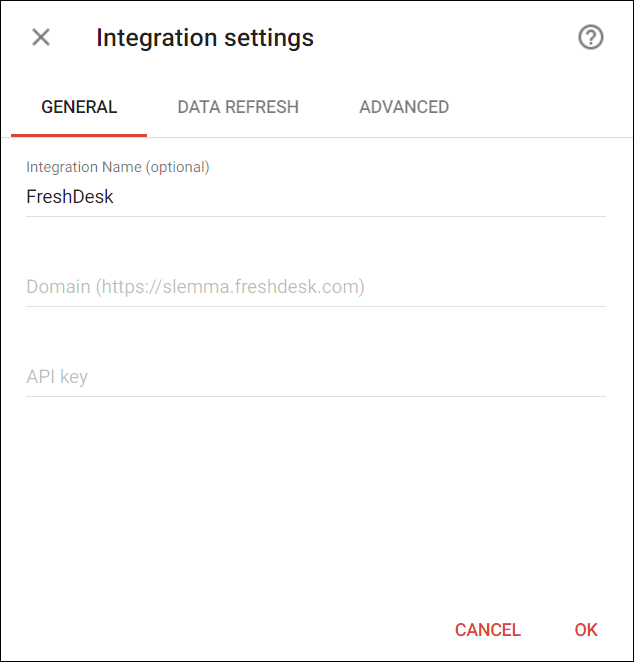 To create a dataset, click your Freshdesk integration in the list and select Browse datasets. From the following page, select which data you want to add to use in your charts.